If you are taking a trip this holiday, most of time you are either going to the beach or the slopes. I'm also guessing that you are picking up a few items for your upcoming trip and I'm here to help. I've put together some essentials for each destination. 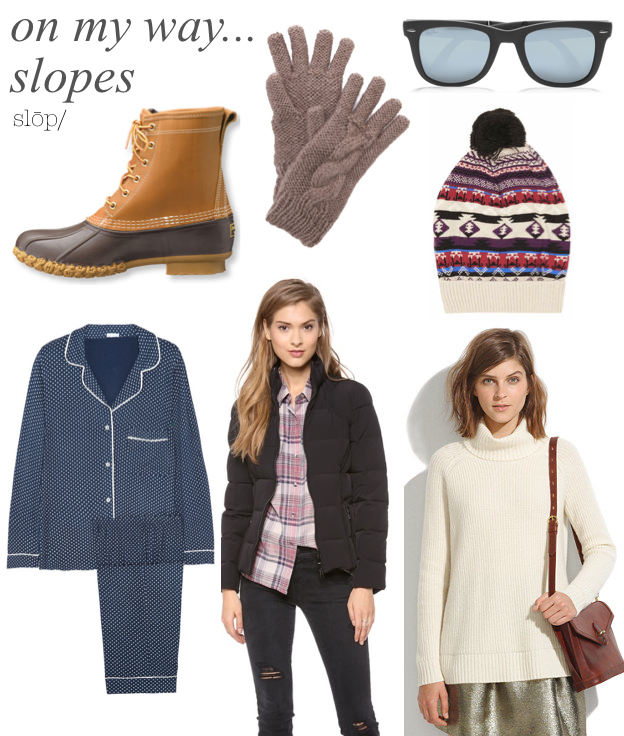 Puffer jackets and cozy knits for the slopes and pastels and metallics for the beach. Check out the travel section of my blog for more travel tips. I would love to know if you are heading anywhere soon! Wish we were heading to the beach, but the slopes style would do us more good in Boston. Happy Holidays!